The original blue Dawn dish soap is a staple in many households. It is an ideal cleaner for more than just your dishes. You can use it alone or combine it with other ingredients for multiple household uses. These creative ideas don't cost much and all use the power of Dawn. 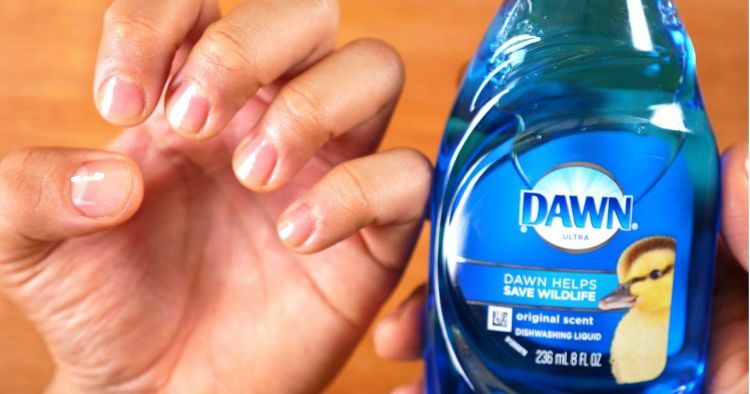 Try them out and you'll see exactly why Dawn has been used in households since 1973. The miracle cleaner has been a hot topic on multiple blogs. 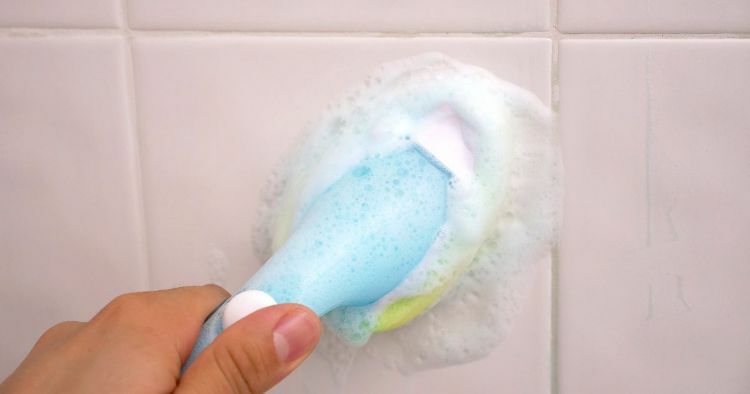 This combination of blue Dawn and vinegar cuts through soap scum, grease, and dirt to give you a clean home. Just mix equal portions of Dawn and hot vinegar in a spray bottle and shake to combine. Spray it on, let it do its magic, and wipe it off with little scrubbing. 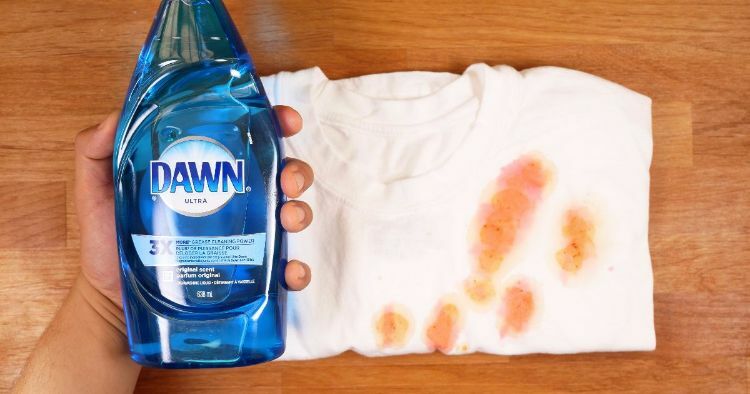 This miracle solution easily removes many different types of stains. Mix 1 Tbsp. Dawn, 4 Tbsp. hydrogen peroxide, and 2 Tbsp. baking soda in a small dish and pretreat tough stains at least an hour before washing. 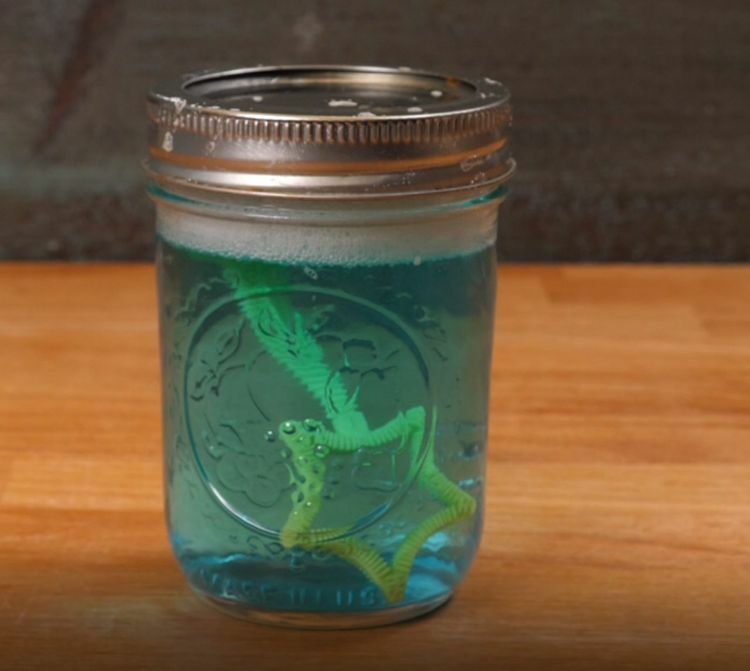 You'll be amazed at what comes out in the wash.
Add your miracle cleaner of blue Dawn and vinegar to a dish wand and you have a handy scrubber you can keep in the shower. Just give your bathroom shower and tub area quick scrub while your conditioner is working and rinse. 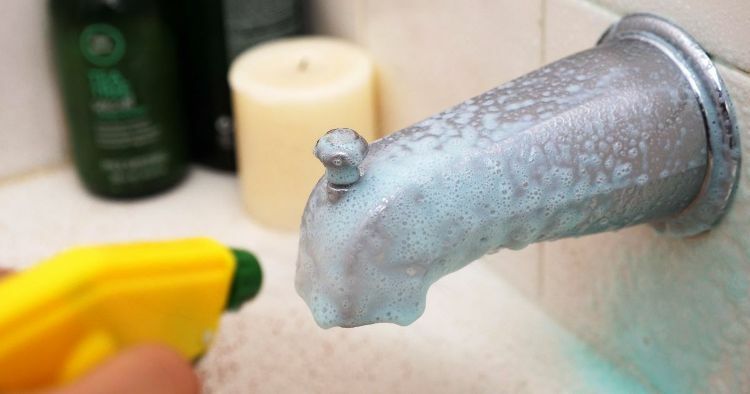 This handy tip for cleaning the shower keeps you from spending hours scrubbing later. A gallon of vinegar, 2 cups of salt, and 8 drops of blue Dawn creates a powerful weed killer without harmful chemicals. Mix well and spray on weeds. They will wither and die. 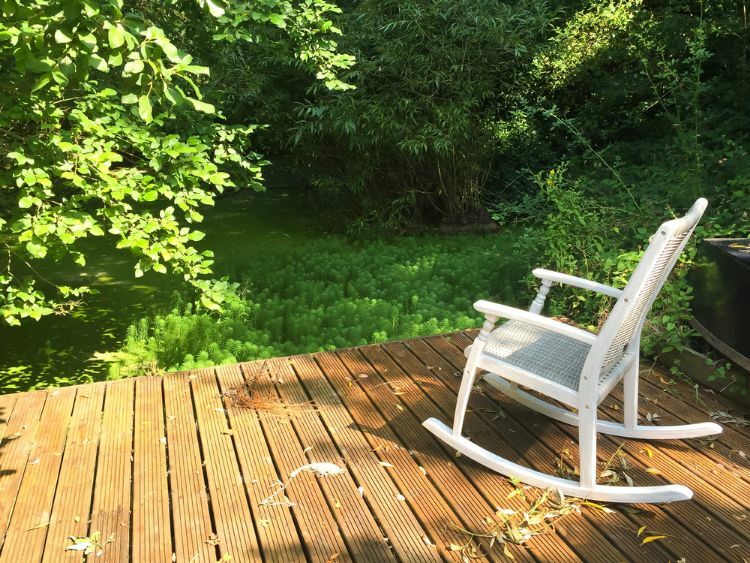 This natural weed killer is not picky, so be careful where you spray it. Bubbles are a lot of fun, but no need to spend a lot of money on little bottles of special bubbles. Combine a gallon of water with 2/3 cup of blue Dawn and 3 Tbsp. of glycerin in a large drink dispenser for easy bubble refills that last all summer long! 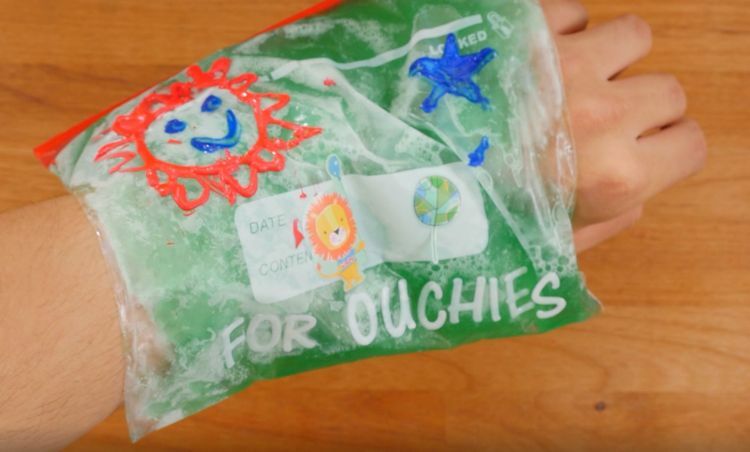 Ice packs for injuries need to stay soft to mold to joints and other areas. 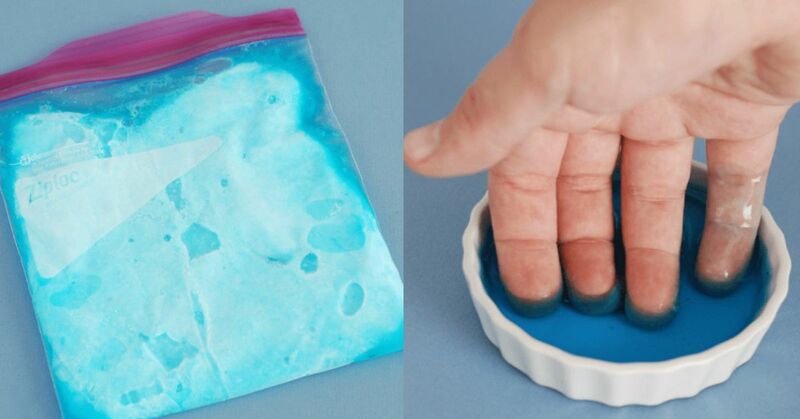 You can create your own homemade ice packs by freezing blue Dawn in a zip top bag. The dish soap will not freeze, but will get cold enough to provide much needed relief. 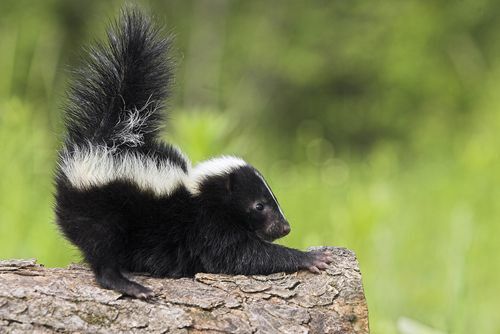 There is no smell quite like a dog sprayed by a skunk. Your dog isn't happy and you definitely are not happy. You can combine a few ingredients to remove that skunk smell and get back to normal. 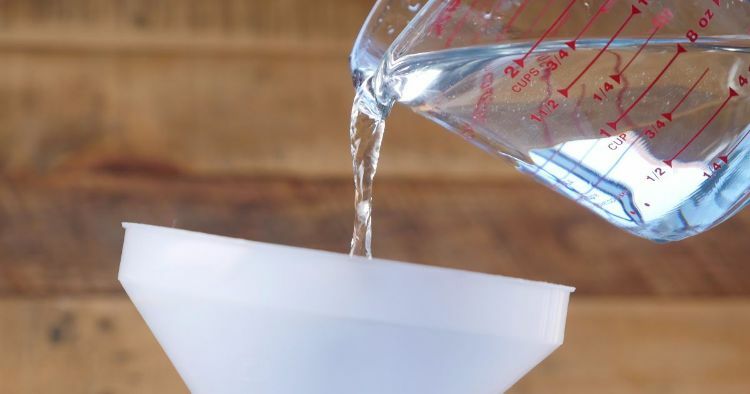 Hydrogen peroxide, blue Dawn, baking soda, and lemon essential oil creates a powerful, yet safe, dog wash to remove skunk odors. Lather up and let work for 5 minutes, then simply rinse thoroughly. Your feet area always on them. 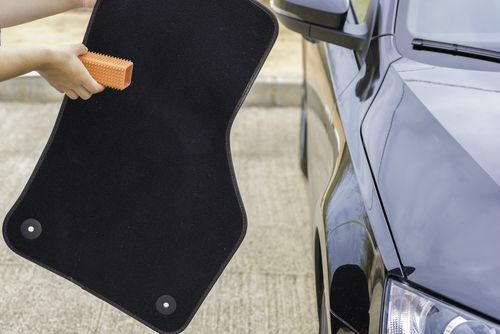 Your car floor mats can become very dirty in just a short amount of time. Combine one part Dawn to two parts hydrogen peroxide in a spray bottle. Shake well and spray on your floor mats. Allow to work for a bit then throw in the washing machine. They will come out looking like new! Commercial ice removers and salts can damage your concrete over time. Adding a good squirt of blue Dawn to a gallon of hot water and 2 Tbsp. rubbing alcohol makes a great de-icer that not only removes the ice, but also keeps it from refreezing. Starting a manicure with well prepped nails results in a longer lasting and better looking manicure. Soak your nails in warm water, Dawn dish soap, lemon juice, and olive oil to whiten your nails and soften your cuticles. Soak, rinse, and dry. It couldn't be simpler. 12. 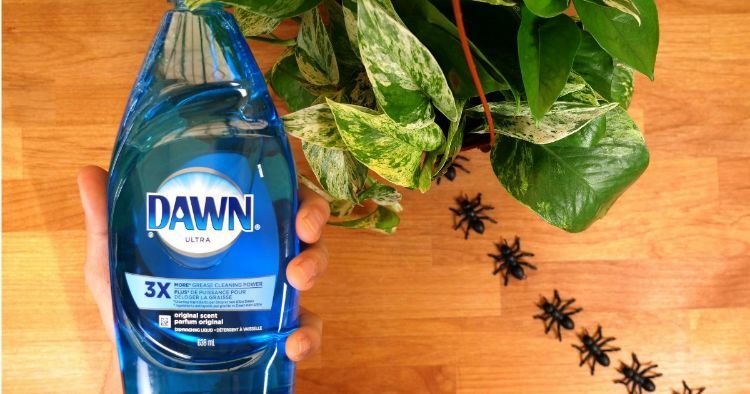 Keep bugs off your plants All you need is one drop of Dawn in a spray bottle filled with water to keep bugs off your indoor and outdoor plants. Aphids, mites, and even mealy bugs will be a thing of the past with a quick spray of the natural bug repellent. Hardwood floors are not only a beautiful addition to homes, but they can increase the value of homes. However, there are a few downsides to having wood floors in your home. They can get very dirty. Here are some tips to keep them clean. From diaper changes to cleaning small faces, wet wipes are easily associated with babies. Grab that box of wipes, because these baby wipe hacks show how useful they can be! Are you planning a party and looking for an appetizer everyone will love that requires no time on your part? Then you have come to the right place!